As we have spent most of our time the past few months planning for the big road trip to New Mexico to install the Astronomical Telescope for Educational Outreach (ATEO), I thought it would be nice to do a little remote imaging during one of our weekly ATEO planning conference calls. 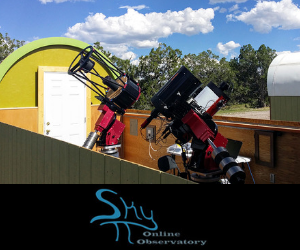 With all of the comets that have been observable lately, why not quickly capture an image of one remotely from one of iTelescope's remote robotic telescopes, hosted at New Mexico Skies. This remote telescopes hosting facility is not too far from where Insight Observatory's ATEO telescope will be hosted in just over a month from now at SkyPi Online Observatories. Comet 41P/Tuttle-Giacobini-Kresák pictured with the star Beta Draconis (lower right). On the morning of Thursday, April 20, 2017, at 5:05 am EDT, I logged into iTelescope's T14 which is Takahashi FSQ Fluorite with a Petzval Apochromat Astrograph optical design for taking wide-field images. The CCD camera used to image the comet was an SBIG STL-11000M. 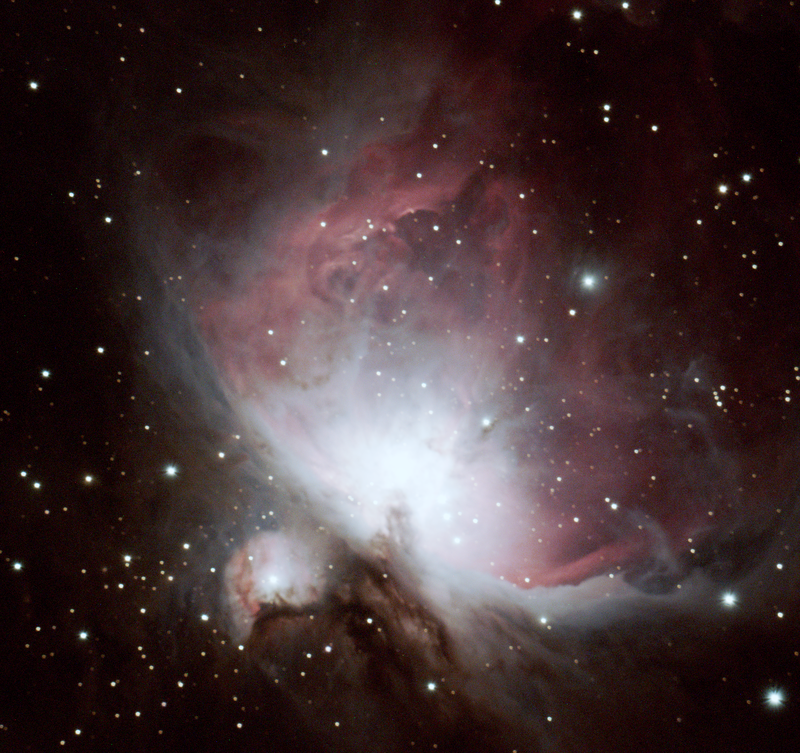 The image is a simple combined 2 luminances at 5 minutes a piece. 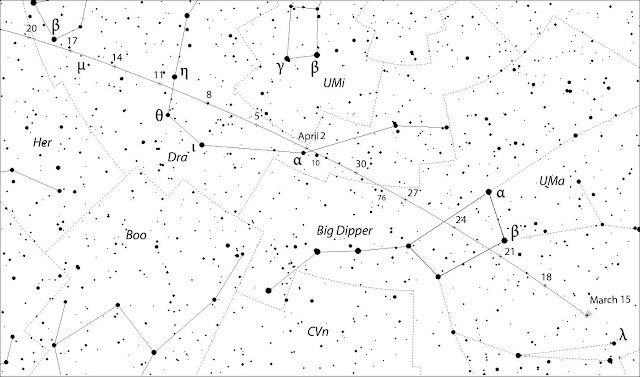 The comet's location was just north of the star Beta Draconis in the constellation Draco. If you zoom into the image, you will notice there are two comet nuclei. 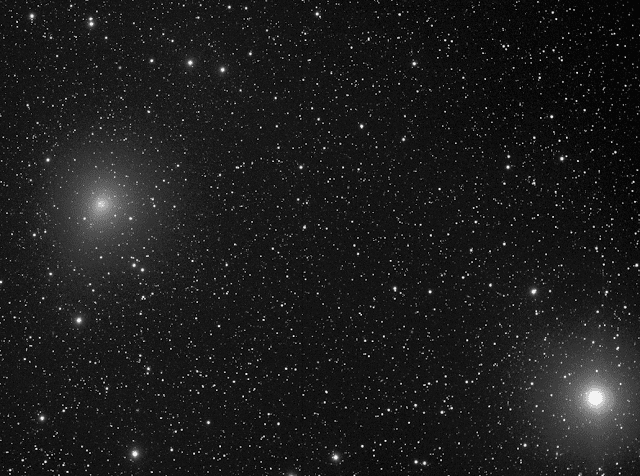 This demonstrates how much the comet moved between both five-minute images. Comet 41P/Tuttle-Giacobini-Kresák, a comet whose identity took nearly 100 years to pin down, has made its closest approach to Earth on Saturday, April 1st, just in time for April Fools' Day, but it was not a cosmic prank. It was the comet's closest Earth encounter in more than 50 years, and maybe more than a century, stated by NASA officials. The comet was first discovered in 1858 by Horace Parnell Tuttle of the Harvard College Observatory, Cambridge, Massachusetts. It was then re-discovered by Michel Giacobini in 1907 and Ľubor Kresák in 1951. The comet had two close encounters with Jupiter that have altered its orbit slightly. A member of the Jupiter family of comets, 41P makes a trip around the sun every 5.4 years, coming relatively close to Earth on some of those trips. On this approach, the comet will pass our planet at a distance of about 13 million miles (0.14 astronomical units) or about 55 times the distance from Earth to the moon. "Comet hunters in the Northern Hemisphere should look for it near the constellations Draco and Ursa Major, which the Big Dipper is part of," NASA officials said in a statement. "Whether a comet will put on a good show for observers is notoriously difficult to predict, but 41P has a history of outbursts, and put on quite a display in 1973. If the comet experiences similar outbursts this time, there's a chance it could become bright enough to see with the naked eye. The comet was expected to reach perihelion, or its closest approach to the sun, on April 12." 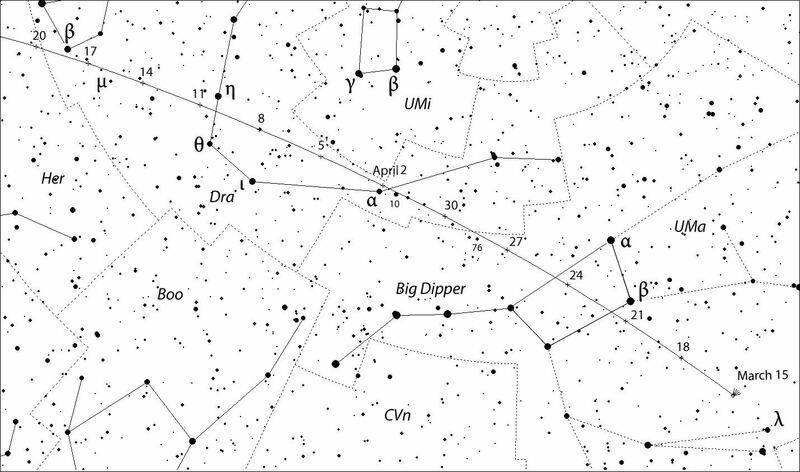 The comet should stay visible through the month of July this year.